Yellow flower hues for beds, containers, and vases. Cosmic cosmos sets the border aglow with serenely radiant, soft-yellow hues. Breathlessly pretty flower blooms early and lavishly, from late June to September. 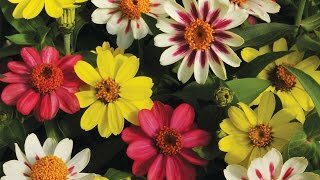 Uniform 24” dwarf plants, blooming 70 days after sowing, light up beds, borders and containers with seriously sensuous, eye-caressing yellow blooms with lighter edges. Whether planted en masse, or mingled with other vaseworthy flowers in the border, ‘Xanthos’ promises a summer of florific rapture. Cosmos bipinnathus, Xanthos is rated 3.0 out of 5 by 7. Rated 1 out of 5 by Eamaya from No germs None of these seeds germinated, followed the instructions but no luck. Rated 4 out of 5 by smulhearn from Lovely color They didn't germinate quite as well as other cosmos, but they have such an unusual color. Rated 1 out of 5 by Cottage Garden from Deer Resistent 70 days ago I planted 50 of these seeds. I have 4 plants, 1 bud, and no flowers. Needless to say I'm disappointed. I have been gardening for over 50 years and have grown multiple plants from seed. Rated 5 out of 5 by Newtogrowing from Perfect for a cottage garden I planted one seed packet and loved the subtle yellow color and perfect size and shape of the flowers. Rated 4 out of 5 by Chris9927 from Lovely yellow color I grew these from seeds and was very happy with the size and color. The yellow color fades quickly . I wish it stayed the pretty yellow color longer but I was very happy with this cosmos. It looks pretty next to Nepeta.